Pastors Wife Appreciation Month is March… right? It seems that there was an attempt to start such a month of appreciation back in 2015 and while it seems to have faded away a bit, I think it’s still a great idea! Perhaps I’m a bit biased because my wife is a Pastor’s wife! My mother was a Pastor’s wife! With the small slice of internet influence I have, I wanted to take a moment to write an article to encourage people in churches all across the world to celebrate and appreciate their Pastors Wife! There are so many pressures in ministry life, and one might say that a Pastor’s Wife has seen her fair share of them. While we could go on and on about some of those pressures she deals with (including encouraging the Pastor), I’d like to give 4 simple ideas of how to be a blessing to her. Logged in Members, CLICK HERE to view and/or copy full text! About a month ago, we came across a graphic that was so powerful we shared it on our Facebook page and in turn, as of this writing it has 583 shares. Evidently there something about Ministering to the Minister that struck a nerve. While we are not the originators of the graphic, we were able to find the source of the picture as far as we know, and it is here. The story is presented in a way to reflect well on animals, and while there is nothing wrong with that, those in ministry know it speaks of a far deeper meaning. While the dog being comforted is not the “shepherd” of the flock, in reality, the dog does represent the shepherd who is working hard to protect and minister to the flock. 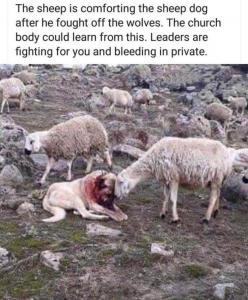 I’ve even heard that the dogs watching over a flock could also be representative of deacons or elders who are doing their best in partnership with the shepherd to protect the flock. As we know, illustrations such as this can only go so far. Within this one picture, far more than a thousand words are spoken to those who are in ministry leadership today. Also, we realize not ALL of those entrusted with the care of the flock is in it for the right reasons and at times can be out of order themselves. For the most part, though, I have found in my experience in ministry that the vast majority of Pastors and Church Leaders have a great desire to help and protect the flock God has placed in their care. Here are a few thoughts, and please know that I write as a Pastor with over 35 years of ministry experience, serving as a Youth Pastor, Associate Pastor and for many years now, as a Senior Pastor. Logged in Members, CLICK HERE to view and/or copy full text! As I went through our Visitor Connect Cards following a recent Sunday Service, it was somewhat surprising to read this statement, but at least they were telling the truth. What sounds like an exciting venture in checking out what other churches are doing can soon become a lonely endeavor as each and every church is critiqued (and criticized) as not being entirely up to par for a long-term relationship. The Bible tells us in Hebrews 10:25 (NKJV) 25 not forsaking the assembling of ourselves together, as is the manner of some, but exhorting one another, and so much the more as you see the Day approaching. What are a few good reasons for finding a local church and becoming faithful to it? Perhaps this is one of the reasons people would rather not find a home church! They would prefer to just kind of “wing it” through life and hope at the end, things will turn out just fine. We all like to believe that we don’t really need anyone else but God, but let’s face it, we need one another not only to be encouraged in times of difficulty but even to have a corrective word (in love) shared as we get off track. The Bible also says: Proverbs 27:6 (NKJV) 6 Faithful are the wounds of a friend, But the kisses of an enemy are deceitful. “Who would prefer a friend’s wounds to an enemy’s kisses? Anyone who considers the source. A friend who has your best interests at heart may have to give you unpleasant advice at times, but you know it is for your own good. An enemy, by contrast, may whisper sweet words and happily send you on your way to ruin. We tend to hear what we want to hear, even if an enemy is the only one who will say it. A friend’s advice, no matter how painful, is much more valuable.” Quoted from Life Application Study Bible. Another great reason to stop “church hopping” and settle into a home church is for those “landmark moments” of life. As Joshua was leading the people into the Promised Land, he made sure that a Landmark was left behind so that future generations would hear the story of God’s faithfulness and guidance. Having a home church makes it possible for moments such as Baby Dedications, Water Baptisms, Salvations, Weddings and Funerals to be held in a place which allows beautiful stories of God’s faithfulness to be told. As a Pastor, I often receive phone calls from someone “looking for a church to have a wedding”. While many churches have very different policies regarding weddings and costs, etc., it’s always much less awkward when a faithfully attending couple call with such a request. While the “landmark moments” can be remembered wherever they happened, it’s doubly exciting as families can worship together and point out where their “twelve stones” are in the church they attend. Come to the church where all the perfect people are! Well, I don’t know what church you worship at, but that’s just not the case ANYWHERE… never has been, and it never will be this side of heaven. This is where “the rubber meets the road” so to speak. We meet someone in a church and begin to feel great connection as we might enjoy watching the same sports teams, be on the same spiritual level, have children the same ages, etc. John Bevere has written a tremendous book on “The Bait of Satan” to help people get through these times of offense. What marriage doesn’t have a few tests along the way? It’s much the same way in a church, but if people would just hold on through those times, there would be far more victories than defeats! Take time to develop relationships and realize that things happen but rarely does it rise to the level of moving along to the next church. It is absolutely fantastic to see people step up and volunteer during times of crisis! I’ve watched, as I’m sure you have the countless tragedies that unfold such as natural disasters and it seems people can’t do enough for their friends and even neighbors they don’t even know. There is something incredibly satisfying about reaching out with talents and gifts, and just a caring heart to be a blessing to someone else. I’ve had numerous times of going to minister in a nursing home or hospital through song or spoken word. Yet, upon leaving the building, God has found ways to minister to ME through those very people! The local church should set the pace when it comes to volunteering not only at the church itself but within the local community. It’s exciting when a group of volunteers from the church team up to bless the local Fire Department or EMS companies with cases of water or sports drinks. Recently, we dropped off a case of Gatorade to our Fire Company and found out they had a call that very night. When they arrived back at the Station, ice cold Gatorade drinks were waiting for them. Where would our churches be without volunteers? Stop “hopping” and get involved! I’m not sure who first coined the phrase “we’re better together,” but it’s an absolute fact! Ecclesiastes 4:12 (NKJV) 12 Though one may be overpowered by another, two can withstand him. And a threefold cord is not quickly broken. Matthew 18:19 (NKJV) 19 Again I say to you that if two of you agree on earth concerning anything that they ask, it will be done for them by My Father in heaven. While we might feel we can handle things ourselves, it’s important to remember we can’t really be all that effective as “lone ranger Christians”. In other words, we will be far more effective for the Kingdom of Christ when we join together in unity and purpose than if we decide we’re the only one who knows how to get the job done correctly. A symphony is only beautiful to listen to as each person plays the instrument they are gifted to play and does so in a way that blends with the others. Life will be far more fulfilling when we are thinking of being a blessing to others instead of always looking for “what’s in it for me.” Find a local church and get involved even if “they” are imperfect! As I watched the Funeral of Billy Graham I was filled with sincere and heartfelt thanksgiving for all God accomplished through the life of this giant of the Faith, but I wanted to take a few moments to provide some “Pastor Encouragement” while you celebrate the life of this Godly man and again enter the pulpit this Sunday. I heard the many reminders throughout the week as television news commentators reminded us of the facts that he had personally ministered to 12 Presidents in his lifetime, as well as the Queen of England. He is also only one of 4 non-politicians to lie in state in the Capitol Rotunda in Washington D.C. 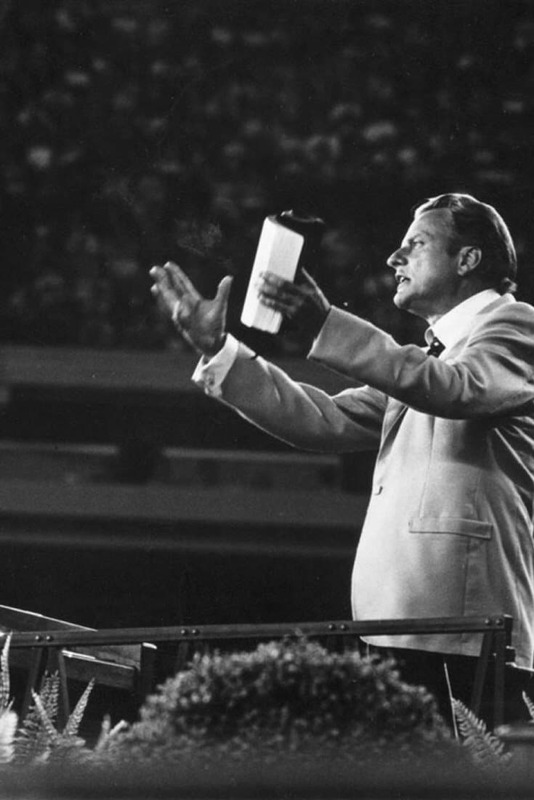 He had ministered the Gospel message in 185 countries of the world and an estimated 78 million people heard the Gospel, with many of those millions giving their lives to Christ. Many of those millions who gave their hearts to Christ have also been instrumental in souls coming to Christ through their witness! Logged in Members, CLICK HERE to view and/or copy full text! Church Board with Relatives Serving… Good Idea? One of the issues a church will wrestle with (in a Christian kind of way hopefully), is whether it’s a good idea or not to allow members to serve on the church board. Regardless of what you may call this group, whether it be elders, deacons, or board members, the challenge is still very real in that the desire is to have the most capable, qualified and spirit-led leaders as possible serving. Below are a few of the issues to consider as your church possibly decides if this is a practice to be avoided or embraced. 1. Meet as a Committee to give recommendations to the Board. 2. Meet as a Board to act upon those recommendations to decide if it should proceed to the Congregation. 3. Meet as a Congregation to decide on the recommendations of the Committee and Board. It takes a 2/3 vote to change the C&B. Logged in Members, CLICK HERE to view and/or copy full text! Do You Have a Girlfriend/Boyfriend Church? I would imagine you’ve never seen an article start with that headline! Please take a few moments to hear me out on this and then you will see the significance behind a question like that…. Yet, there’s something else that happens which is just as damaging as throwing it all away, and that’s to have a “girlfriend or boyfriend” on the side. You know, someone who requires nothing and in fact, would never tell you to pick up your dirty socks off the floor or take out the trash, or change the oil in the car, or lift a finger to help “around the house.” Some feel they’ve found the perfect arrangement… all the butterflies without the expectations! We know that ultimately, such an arrangement causes permanent damage to the marriage relationship unless it’s dealt with and cut off immediately. So, keep that introduction in your mind as I relate the story to the Church and a growing trend I see today in the Church world and the reason I posed the question in the first place. Let’s just start with an example that may often be a reality in the life of a family moving into a community. They could even have been part of a community for some time, but for the sake of this illustration, let’s say they just moved in. You begin the search for a church that will be a “perfect fit” for your family. Perhaps you sit down as a family and make the checklist of what you are looking for in a church. A list of things that are ALL about your needs with barely a thought of how you will be a blessing to the church through giving of your time, talent and treasure. The announcement is made from the pulpit, and the date has been set for Membership Classes (pre-marital counseling), and following this intense time of getting to know you, the decision is made to make that commitment to becoming a member of the church. 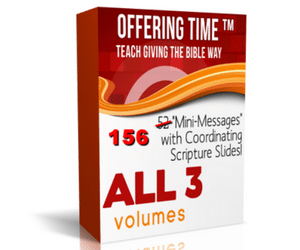 It’s been explained to you that there are indeed responsibilities that go along with that Membership such as faithful church attendance, giving, and even at times sacrificial giving. Being available for service in the church in some way whether through teaching, ushering, greeting or taking out the trash! The “wedding day” has arrived. Membership is happening, and perhaps you, and a few others are part of a “mass marriage” for the day as you come on board as a full voting member and participant of that church. You are looking forward to the community and yes, even the world being changed for the better as a result of you joining this particular local church. Finally! After the search and commitment and ultimately, the “wedding,” this “marriage” begins, and you are looking forward to the real “benefits” that will come your way as a result of becoming a full voting member of the church body. Things are going great until the leadership notices how faithful you’ve been to the house of God, especially on Sundays and they ask if you would enjoy being a greeter at the door to welcome both regular attendees and visitors. You say yes, and start serving in this area, but the problem is that the butterflies aren’t flying as they used to and you realize if you commit to something like this, that you won’t be able to sleep in like you did before. Long story short, and not to bore you with endless illustrations; you realize that becoming a member of a church or at least a faithful attendee is beginning to require something of YOU, and you didn’t count on that when you started that particular church in the first place! The preacher is “always asking for money,” and the “music is too loud,” and people aren’t friendly like they were when you first “started dating.” Also the services go longer than you remembered in the “dating process” when in fact, they are about the same length. It’s just that the “infatuation phase” has moved into the “commitment phase,” and you’re not really ready for all that. However, to relate this to the church, perhaps, you think the answer is to start the “dating process” all over! Of course, as a family, you are going to do this together, so there’s nothing really “wrong” with it, right? It begins with going to that church down the street or next city over that perhaps you even remember visiting when you were “dating,” but you figure that if you just go there once a month, nobody will notice or even care for that matter, yet before long, it’s twice a month. Or for that matter, it’s not going to a church anywhere but relaxing at home with the latest and greatest Facebook or online broadcast! You don’t even have to get dressed to go to church with this feature! Oh, you still go to the church you “married” but notice more and more things about that church you didn’t notice when you were in the “dating or engagement” process. The “butterflies” are a thing of the past as you get more and more acquainted with the people in your “marriage church,” and you are noticing blemishes and things that are leading you to feel you made the wrong decision. The Bible says in James 1:8 that a double-minded man is unstable in all his ways, and of course, we know that a double-minded woman is in the same fix. You cannot be truly rooted and grounded in your faith until you realize that the high value of commitment, especially in regards to church attendance. It used to be that faithful attendance meant being in church “every time the doors were open” such as Sunday School, Morning Worship, Evening Worship, Mid-Week Service and all the Revival Services in between. Tragically, now in people’s minds “faithful attendance” means attendance at least twice a month in the church they are are a member of. Other than that, don’t even bring up the “C” word (Commitment). While families may not realize it for years, but even as the family is profoundly affected by divided loyalties in the parents who may eventually separate and divorce, our families are also affected by our lack of commitment to the church we “married” some time ago. The similarities can only go so far of course in relating marriage to a church because indeed there are times a family must leave a church for one reason or another, and I trust it’s a good reason and not a frivolous one. Please take the time to read our blog post on “5 Honorable Actions When Leaving a Church“. Perhaps it’s time for a breakup and then, re-connection to where you committed in the first place? As Pastors, we’ve all been there at one time or another. There’s that one person who has asked over and over again to be part of a ministry that we know would be a bad idea. However, their persistence has turned into insistence and word is starting to filter out into the congregation about the situation. While you know the “back story” of why you would rather they don’t serve in that particular ministry, others have not been filled in, and of course, you’re not going to do that either. Let’s face it… there are ministry opportunities that exist within the church that you have been attempting to fill for a long time, but it seems that to find a person passionate about a particular ministry, who is also gifted to serve can seem like an impossible task. So we relent and give them what they’ve been asking for, or more to the point… demanding. Here are 3 reasons why that’s a bad idea, AND you should leave ministry positions unfilled until you are sure you have the passionate person serving in the proper ministry. Logged in Members, CLICK HERE to view and/or copy full text!